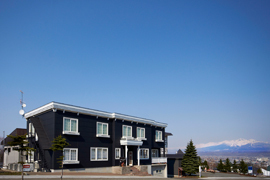 Pension Snow Crystal in Furano is located only 1 minutes walk from Furano Ski Resort, the best location for skiers and snowboarders. From Pension Snow Crystal you will be able to enjoy spectacular views of the natural scenery including the beautiful lavender flowers during the summertime. Pension Snow Crystal is located only 10 minutes away from JR Furano Station by taxi and has easy access to famous tourism spots including the golf courses. Kojima was ski racing 16 years since when he was 7 years old. After finishing his ski racing career he changed to snowboard racing. He became 3 times the winner of the Japan National Championship. He belonged to the national team 6 years and went to World Championship and World Cup. After he finished his racing career he became a high school teacher. He made the first Japanese school snowboard team. He promoted snowboarding to Japanese sports education. He is also coaching young snowboard athletes around the world. 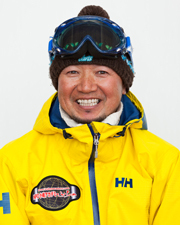 He founded Kojima Academy in Furano in 2002 and focused on his snowboard racing program. He had a total of 6 athletes that went to Salt Lake City Olympics, Torino Olympics, and Vancouver Olympics. He is now the director of Kojima Academy, Kids Care and Furano International Snow Sports School in Furano. Copyright (C) 2013 Snow Crystal. All rights reserved.